You may agree that March 2017 has been one of the gloomiest months ever. While the temperatures in Chicago have been up and down, the grey skies have pretty much been a mainstay for days on end it seems. That said, there is no better way to break up the grey than enjoying a dining experience that transports you to a tropical place with colorful, vibrant food and pretty, potent cocktails. 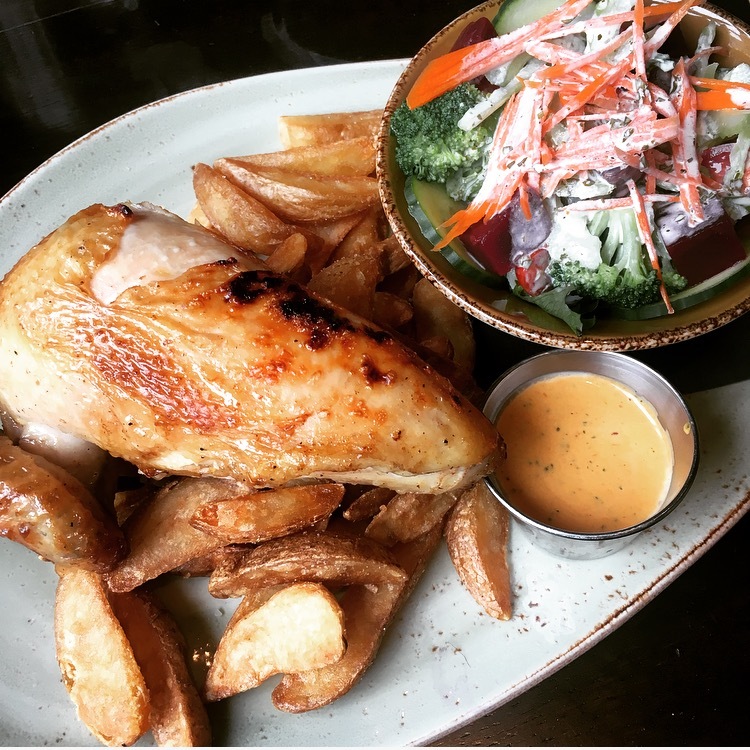 You may remember my visit to their sister restaurant in San Francisco, La Mar, where the boyfriend and I fell in love with the unique cuisine that is overall called Peruvian, but is so much more intricate than that. 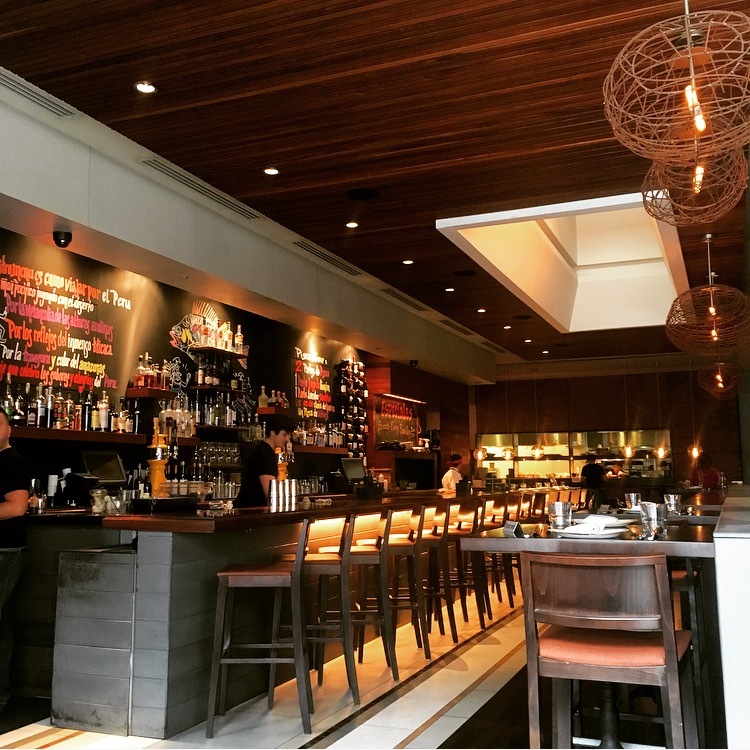 At TANTA (and La Mar), you’ll find the expected traditional Latin ingredients, but likely combined with Asian and specifically Japanese ingredients or cooking methods. What this translates to on the plate are beautiful, colorful dishes with perfect spicy-sweet-savory-salty notes. On the cold, dreary and rainy day that was this past Saturday, the sister and I made our way to TANTA to catch up over a leisurely lunch. As we do, though, we also had a feast to go along with our chit-chat. Walking in for our 1pm reservation, we found that the restaurant was packed! It was a nice surprise since it was such a crappy day, but apparently other Chicagoans had the same idea that we did. Our server, Lucho, was so great! He not only walked us through some of the ingredients that we were less knowledgeable on, but also provided us with his recommendations. While we perused the menu, we started off with cocktails. Weekday lunches may be a no, but weekend lunches call for cocktails! 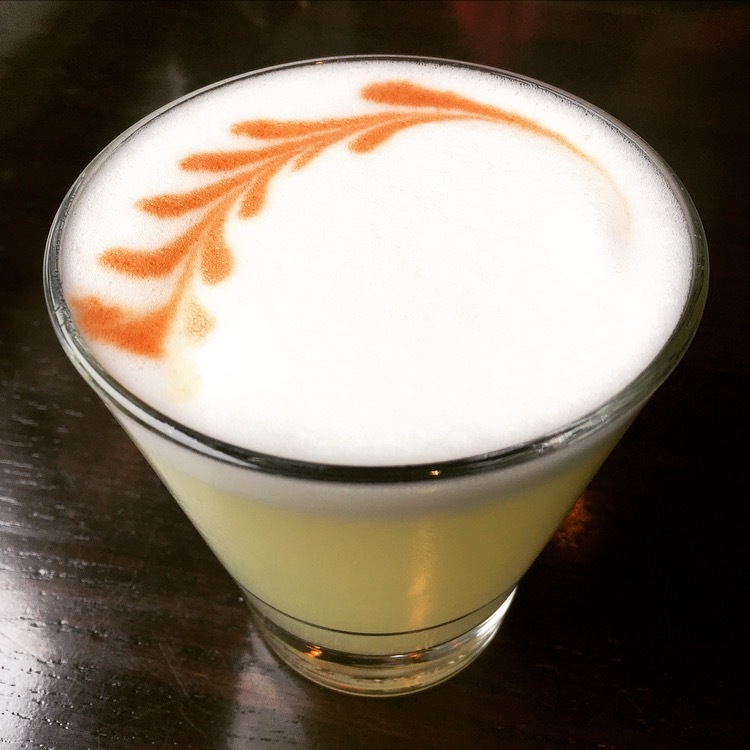 I went with the traditional Peruvian ‘Pisco Sour’, while the sis went for the ‘La Rusa’. Both were delicious, and we agreed that come summer days, we’d be back for many more ‘La Rusa’ cocktails! It’s a “porch pounder” as they say. For lunch, we went with a few different things. We started off with 3 appetizers, and then shared 3 entrees. I know, I know… we are two little ladies, but if you know us, you shouldn’t be shocked. :-p Plus, if you look at the Tanta lunch menu, how can you even narrow it down? Everything sounds amazing! 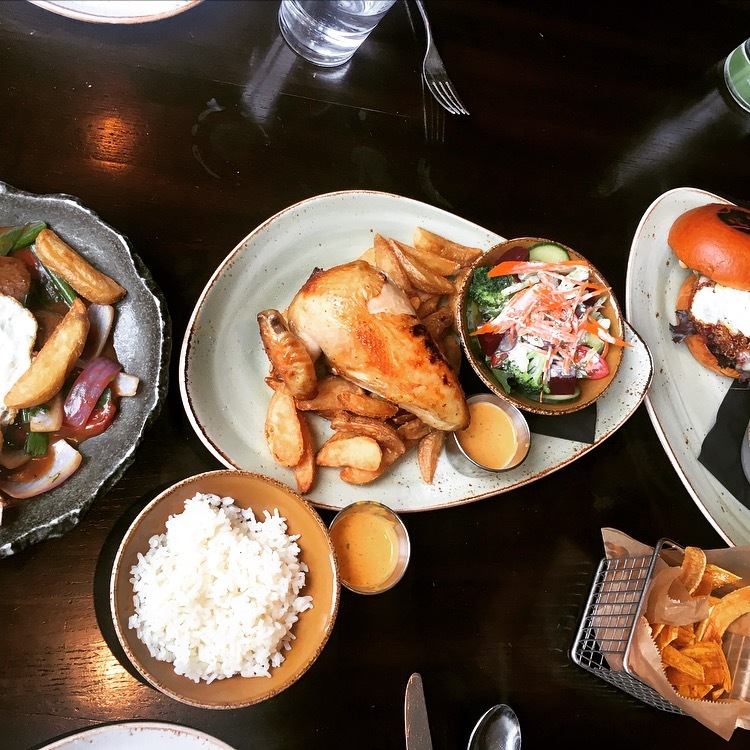 Of the small plates, I’d definitely recommend… all three! It’s just that all 3 are so different in flavors, textures, temperatures.. it’s a great idea to try a variety. 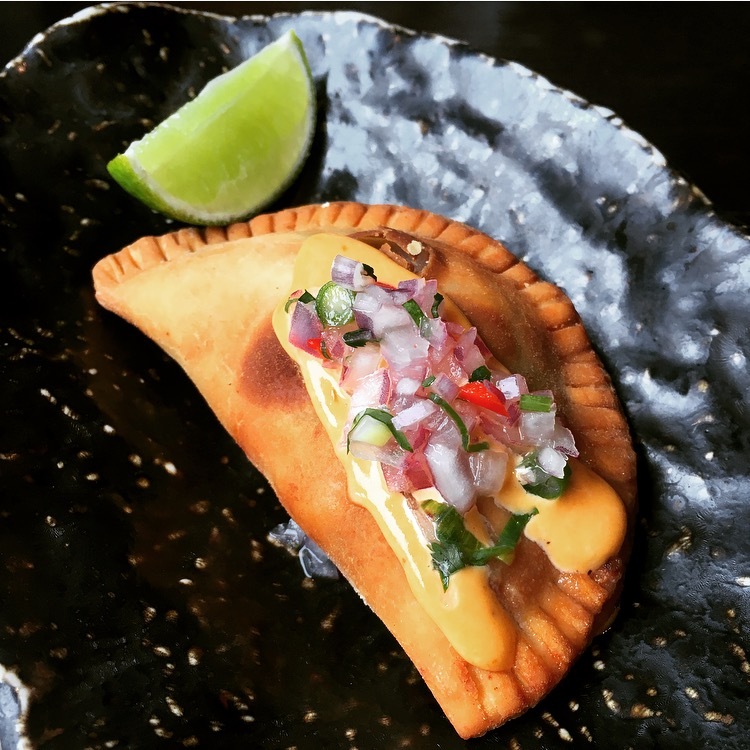 The empanada de pollo is stellar – the empanada dough spot on. We couldn’t decide which ceviche to get, so we went with the clasico. 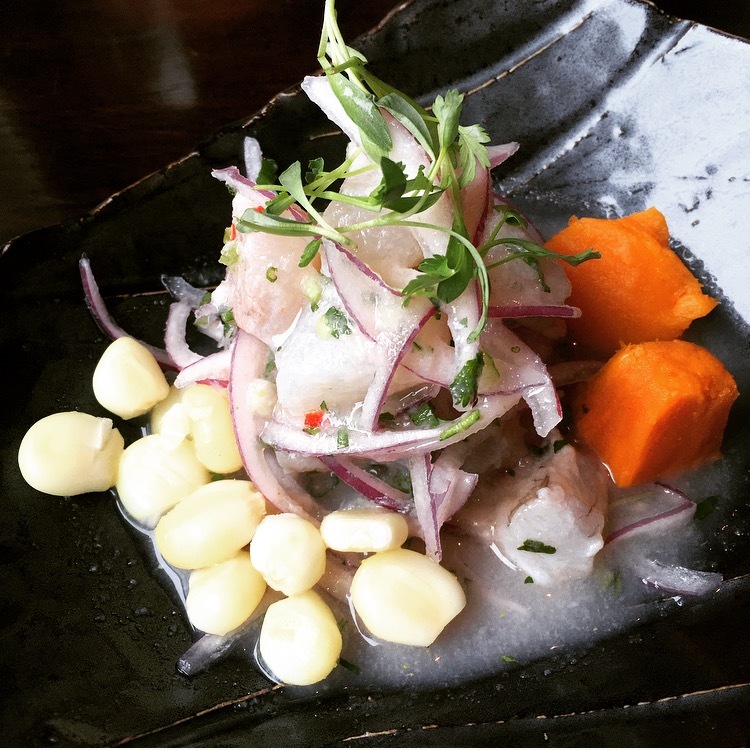 Leche de tigre is a traditional Peruvian marinade for curing seafood and is made with lime juice, onions, chilis, salt & pepper. It’s bright and acidic and perfect for the fish. 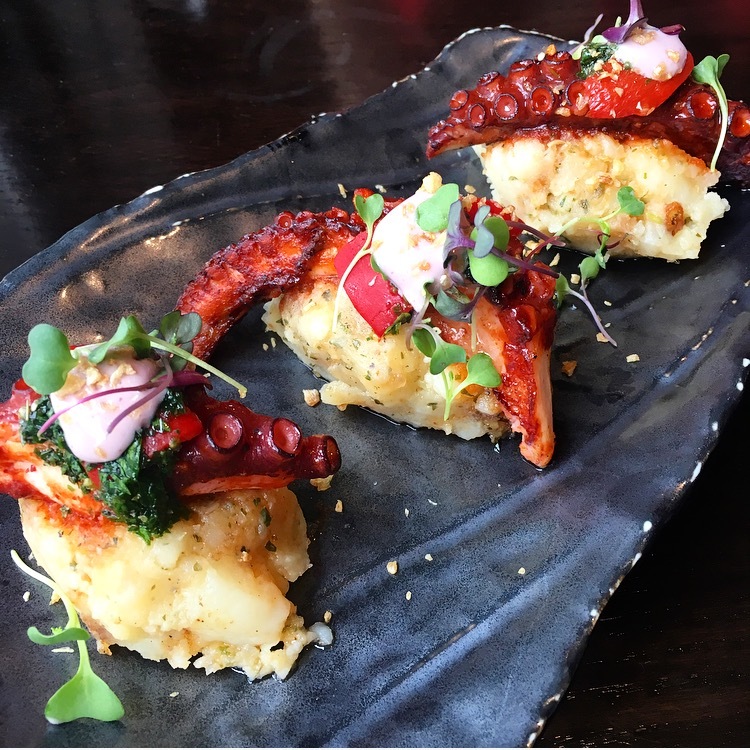 The anticucho de pulpo is a heavier dish, and could actually be a smaller main course. 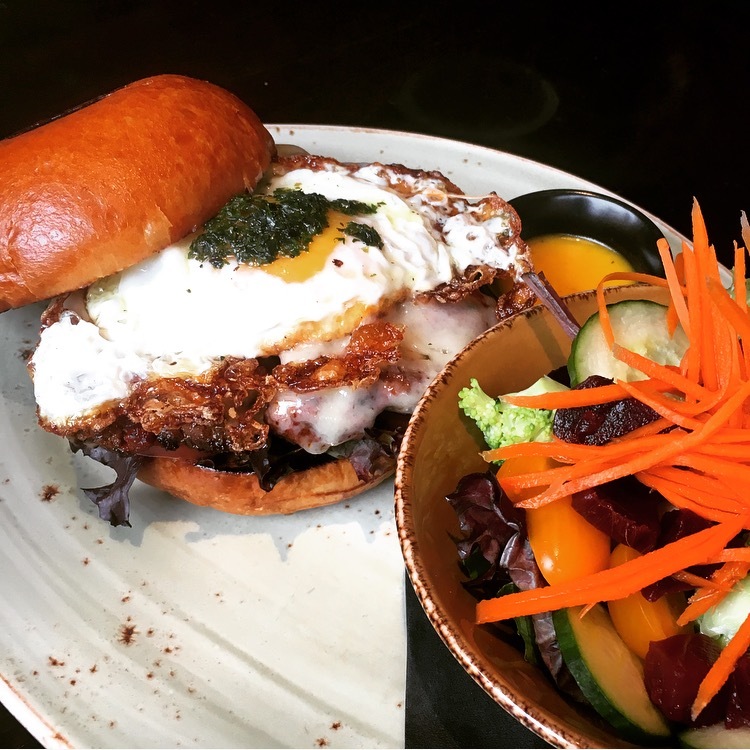 I love the chimichurri on it! Now on to the entrees. 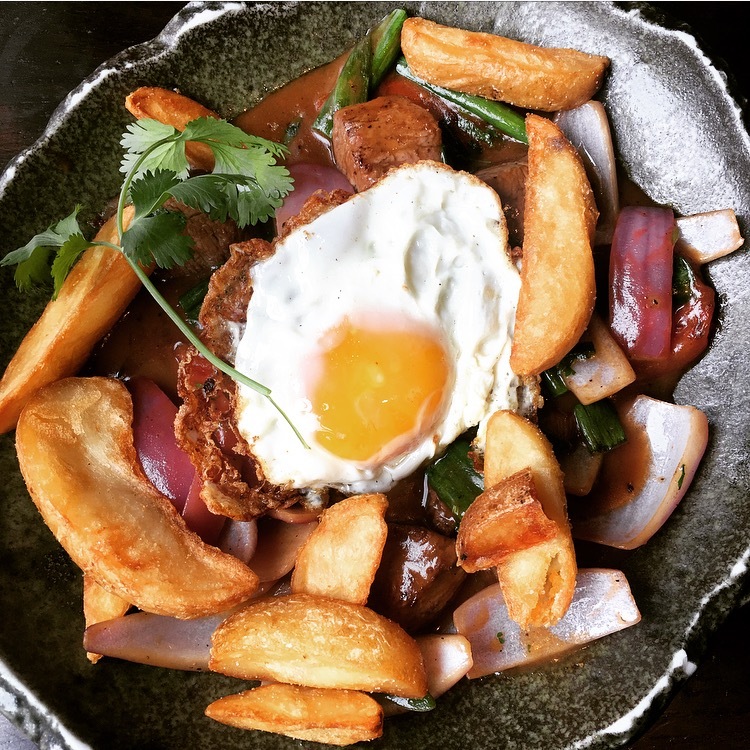 ‘Lomo Saltado’ is Peru’s traditional dish, and is basically a stir-fry of marinated steak, onions, peppers, thick-cut fries, with white rice on the side. It’s a carb bomb, but it is so worth it. The sauce is a silky garlic-soy sauce and I’m pretty sure I could stir-fry anything in it. So good. The surprise dish, though, was the ‘Burger Anticuchera’. I’m a sucker for a good cheeseburger, and Tanta’s was one of my favorite ever. I’m not entirely sure what anticuchera sauce is, but it made the burger so flavorful! 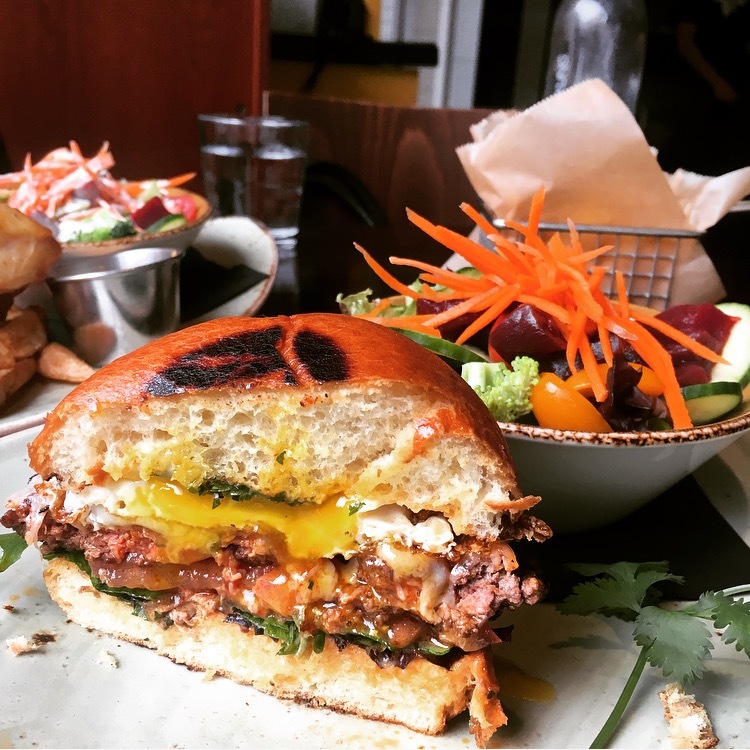 Being lunch/brunch, it was topped with a fried egg, which combined with the rocoto sauce (creamy aioli) just made for one decadent burger. It’s a solid item on the menu, and at $14 it’s a great deal and one i’d highly recommend. You’d think that after all of these dishes, we were full. Well, we were. But there’s always room for something sweet and by the time we got to even looking at the dessert menu, it was probably 2:30pm… so it was indeed a leisurely lunch. 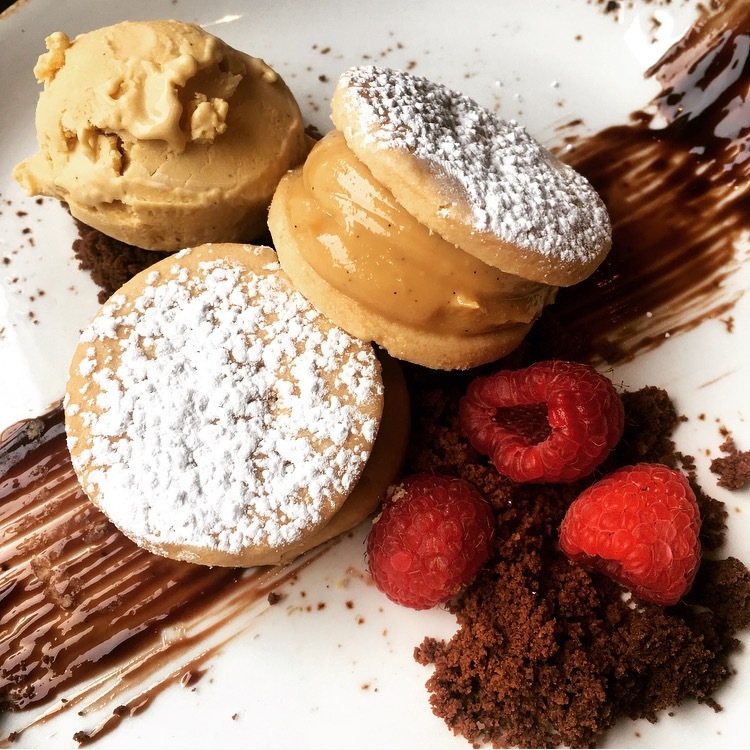 We didn’t go too crazy on the desserts, and really just wanted a sweet bite along with a cup of coffee to close out the meal, so we went with the Alfajores. H O L Y. These little things were amazing! You know the French macaron? This is Latin America’s answer to it. 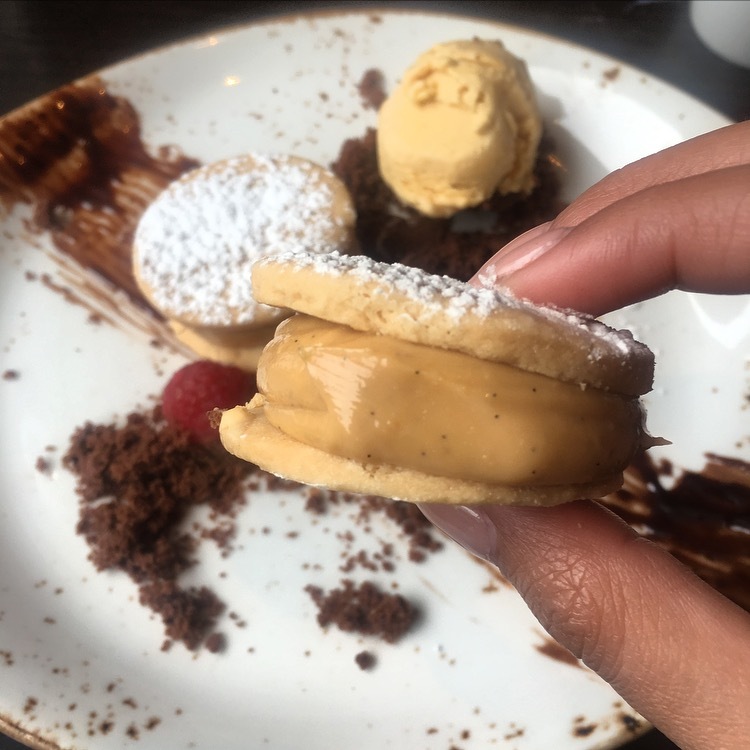 Alfajores are traditional South American sandwich cookies, filled with dulce de leche. I LOVE all things dulce de leche, and I’m quite positive that Tanta’s alfajores are the best I have ever had. Just look at that filling. Divine. 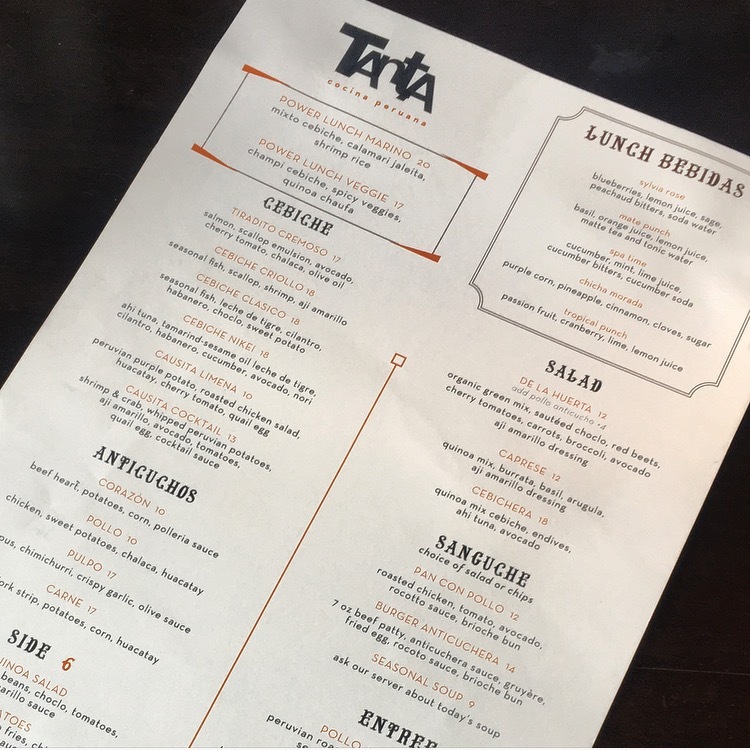 TANTA serves its lunch menu daily from 11am – 2:30pm. So whether it be a weekday or a weekend afternoon, a visit to Tanta for it’s vibrant food and awesome dining room is always a treat. 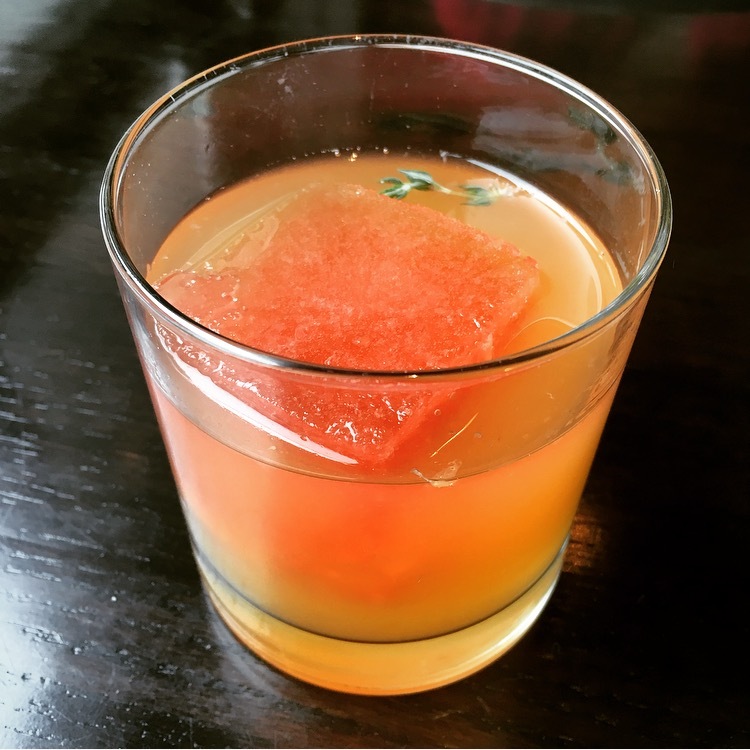 Make your reservation on OpenTable and let me know what your favorite dish/cocktail is once you’ve been.